Have fun creating special moments with the latest features for Adobe Photoshop Elements 15 and Premiere Elements 15. If you're struggling to wade through and organise folder upon folder of cherished photographs, the latest updates for Adobe Photoshop Elements 15 and Adobe Premier Elements 15 will come as welcome additions. Packed with features that make finding, editing and sharing images easier than using traditional Photoshop shortcuts, these releases even allow you to automate the entire process. First up, let's look at Photoshop Elements 15, whose headline tool lets users transform facial features. With a few clicks you can enlarge squinting eyes, and turn frowns upside down into smiles. It takes a careful touch to ensure that you don't end up creating manga style family portraits, but this could be useful for those pictures where everyone is scrunching up their faces from the sun. Other features in Photoshop Elements 15 include the ability to add multiple effects to a single photo, such as painting over a subject and adding textures and colour themes. Difficult photography techniques such as motion blurs are now more accessible as well thanks to the speed pan tool, which gives you the chance to create dramatic action shots with artistically out of focus backgrounds. Rounding off the release is a drag and drop video editor that cleans up your image quality. This is perfect for correcting hazy beach clips, for example. Sliders similar to those found photo editors let users control exactly how the videos should look. Each of these tools also comes with a walk-through option that guides you through the necessary steps, or you can go hands-free and explore everything they have to offer by yourself. Adobe claim that this taps into the user's desire to grow and expand and do their own thing, and it also ties into the overall accessibility that runs through the entire package. Making incredible movies is at the heart of Premiere Elements 15, which turns rough clips into real movies more easily than ever. Thanks to facial detection technology plus favourite and smart moment tools, you can automatically cut out boring scenes and get straight to the good stuff. As with the standard Elements features, these video editing tools leave a great deal of room for personalisation and gives users the chance to focus areas important to them. Photos can also be dropped into videos and enhanced with a pan path that directs the camera's movement. On top of this, audio files from your computer can be dragged in and automatically remixed to fit the length of the video. Premiere Elements scans the audio file for inflections, and optimises the sound in relation to the clip. Home movies will never abruptly end with a random musical cue again! Both releases have an emphasis on usability, with this taking the form of straightforward controls and the guides we mentioned earlier. However enhanced search tool put your memory at your fingertips, as you can now sift through images by searching for a combination of things, such a places, events and favourite subjects. The Organizer and Quick Edit modes are now touch-friendly controls that do all the legwork of finding, sorting and enhancing your images with a single tap. Desperate to get your hands on these tools? 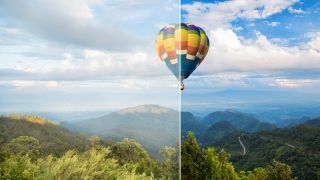 New users can grab either Photoshop Elements 15 or Premiere Elements 15 for $99.99, while existing customers can upgrade for just $79.99. On the other hand, first time buyers could get their hands on both for $149.99, or you can grab the pair as an upgrade for $119.99. For more details and to download the latest Photoshop Elements packages, head over to the Adobe site.